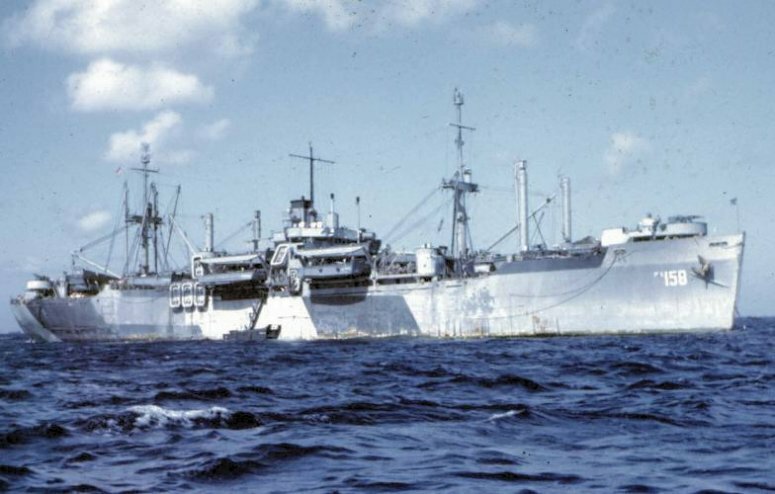 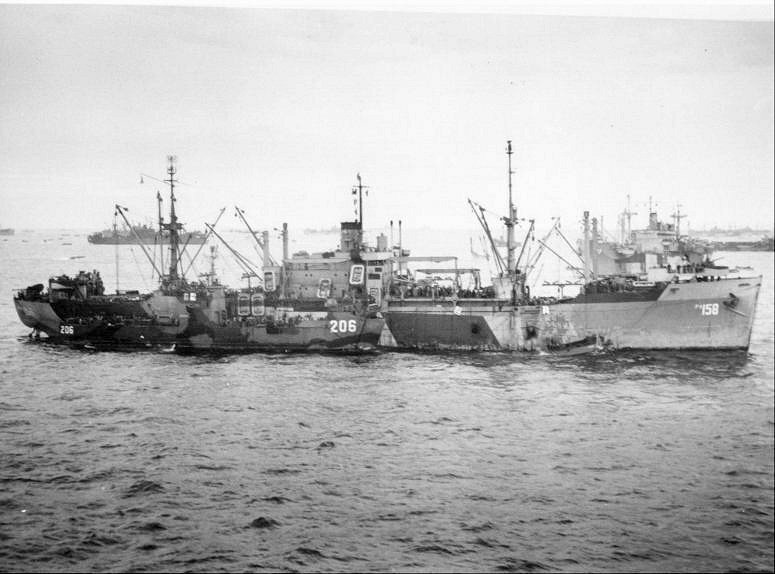 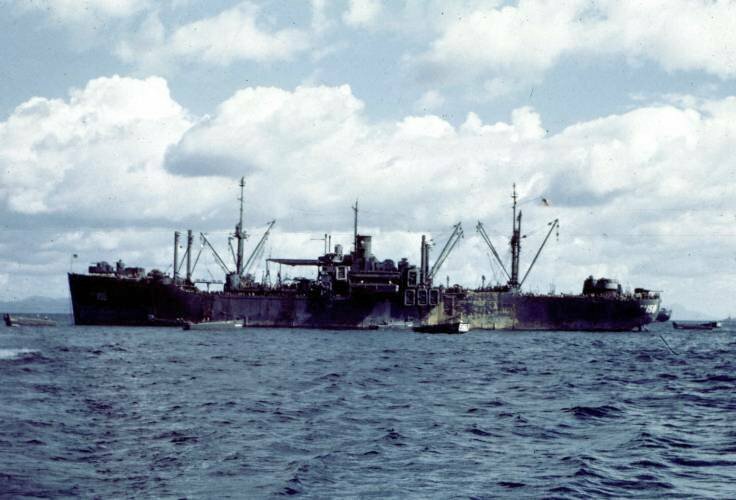 Laid down, 10 June 1944, as a Maritime Commission type (VC2-S-AP) hull under Maritime Commission contract (MCV hull 124), at Oregon Shipbuilding, Portland, OR. 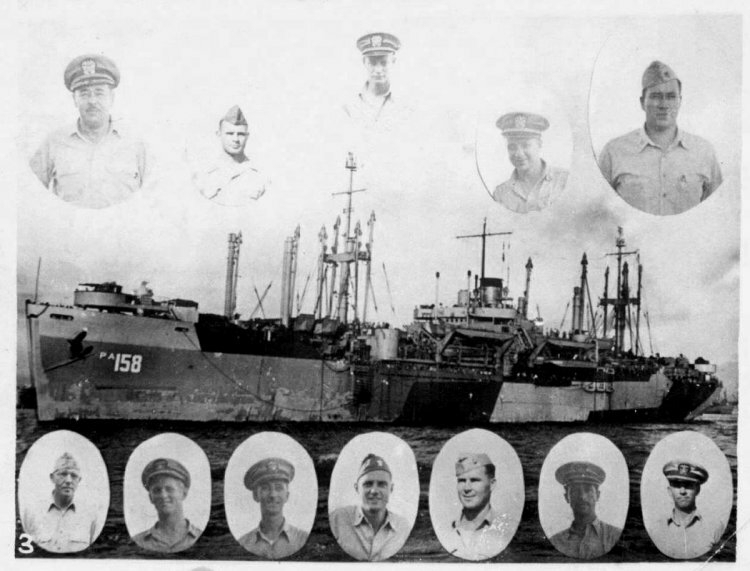 Returned to the Maritime Commission, 3 March 1946, for lay up in the National Defense Reserve Fleet, James River, Lee Hall, VA.
159k USS Newberry (APA-158) Occupation Commemorative postal cover. 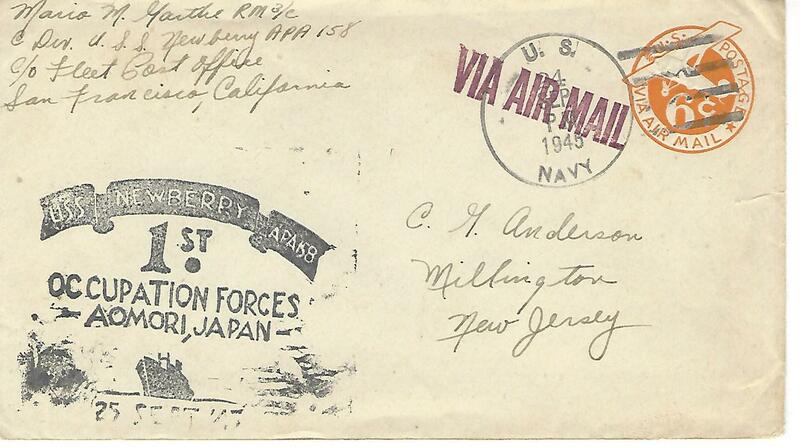 From the collection of Richard F. Hoffner, Sr.